Hundreds of people were contaminated when a disused radiotherapy machine was dismantled in a scrap yard in Goiania. Four people died. In September of 1987, two waste pickers in the Brazilian town of Goiania broke into a disused medical clinic and stole a radiotherapy machine, triggering the biggest ever radioactive accident outside a nuclear facility.Hundreds of people were contaminated and four people died. Thomas Pappon spoke to one of the victims and the physicist who was the first to assess the scale of the accident. 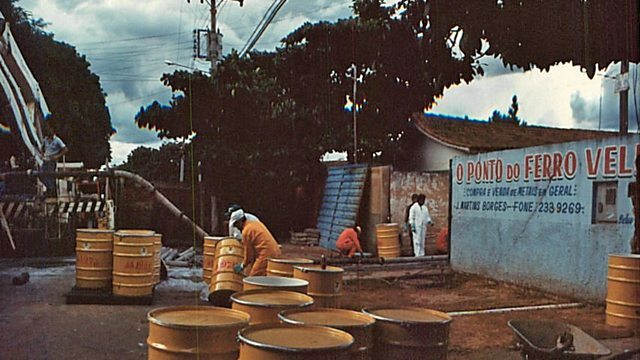 Photo of technicians collecting nuclear waste in the contaminated scrap yard in Goiania. Copyright CNEN.